He sat back with his hands spread across his tummy. He had just finished licking his fingers clean from the sweet, dark BBQ sauce that covered the pile of melt-in-your-mouth, succulent ribs. There was no doubt. 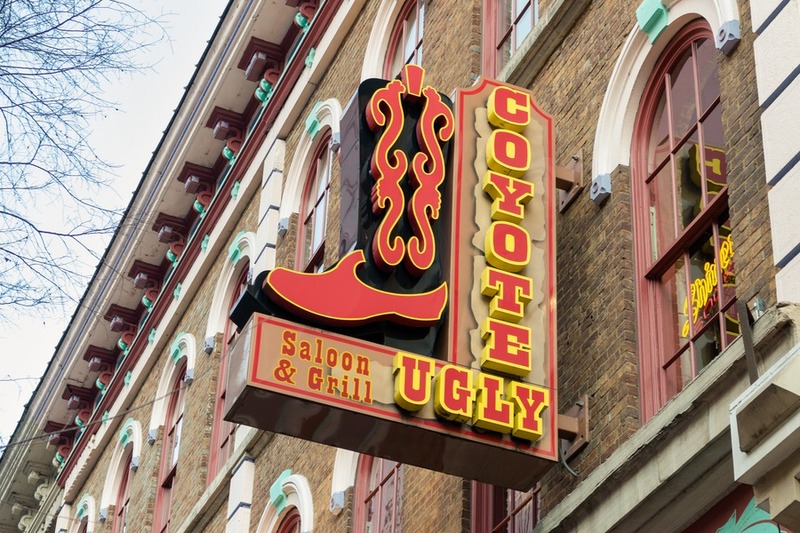 Nashville lived up to its lofty gastronomic reputation… and then exceeded it – like a food-filled bottle rocket blasting through a plasterboard ceiling. Time and time again we found bliss on a plate in Nashville, from spicy fried chicken to classic southern ribs to fluffy pancakes. Not necessarily the healthiest, but definitely the tastiest. Before you visit Music City, get a rundown of our 9 favourite places to eat and you’ll be in a smile-inducing comfort food coma in no time. 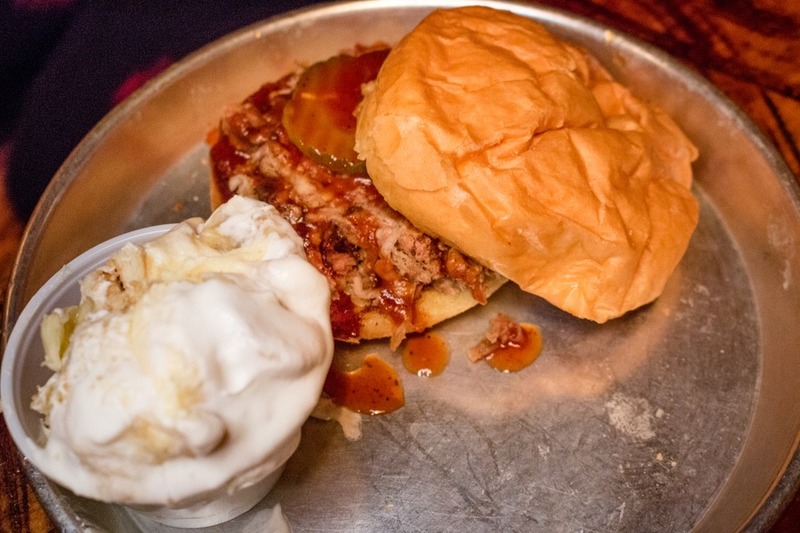 We were on a mission for the best BBQ in Nashville and it wasn’t until our final evening that we found it. Like most meals we had in Nashville it was a recommendation from a local we had spoken to earlier that day. And were we so glad we listened. Ordering is easy. Find a table, choose the meals, head up to the cash register to order and pay. The cashier gives you a number and the food is brought out likety split. Josh and I chose to share a full rack of ribs and sides. Mia went with a kids BBQ pork sandwich, with a side of banana pudding while Caius had Mac & Cheese. 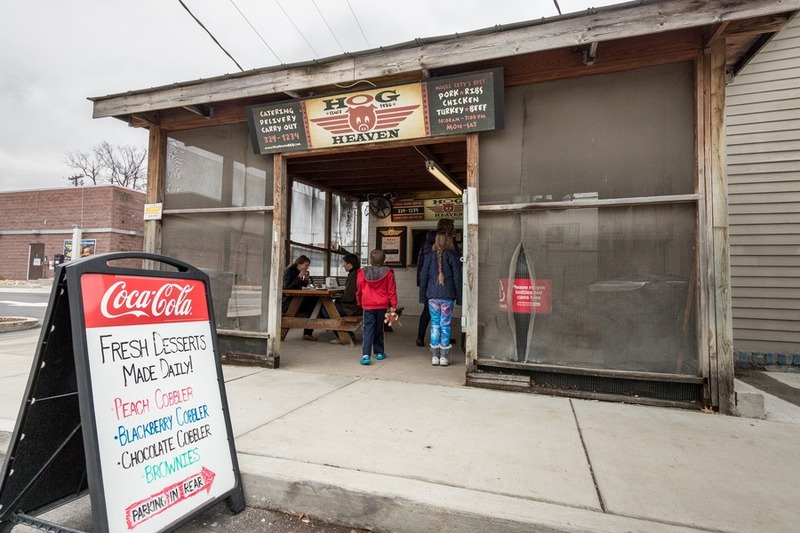 This must be your first food stop in Nashville. Finger lickin’, lip smackin’ divine. 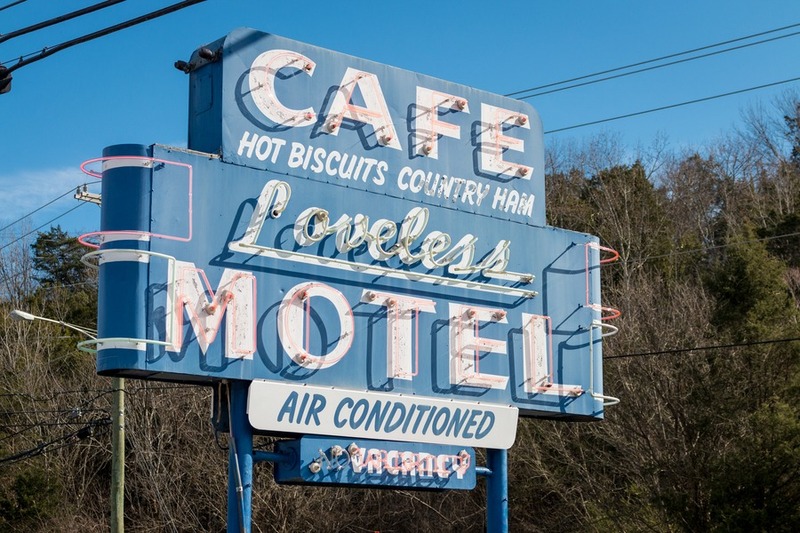 Nashville’s tourism team recommended this one, but not being morning folks we kept missing it. On the day we were due to leave Nashville, we finally stopped in. Little did we realise, so did everyone else. Customers receive 2.5 hours of free parking in the lot behind the Pancake Pantry, just make sure you get a ticket and put it on the dashboard. Josh took care of this while I joined the queue snaking out of the front door and around the corner. The queue moved quickly, however it was an especially chilly day. I managed to usher the kids to the front of the line so they could sit inside the warm waiting room, where there were kids books to keep them busy. Then I re-joined my place in the queue back out in the cold. Considerately, there is a coffee machine outside to keep you warm while you wait. Our wait took about 40 minutes before we made it in to the bustling, large restaurant. We had high expectations since, as we waited, we read all the signs repeatedly telling us how good the food was. 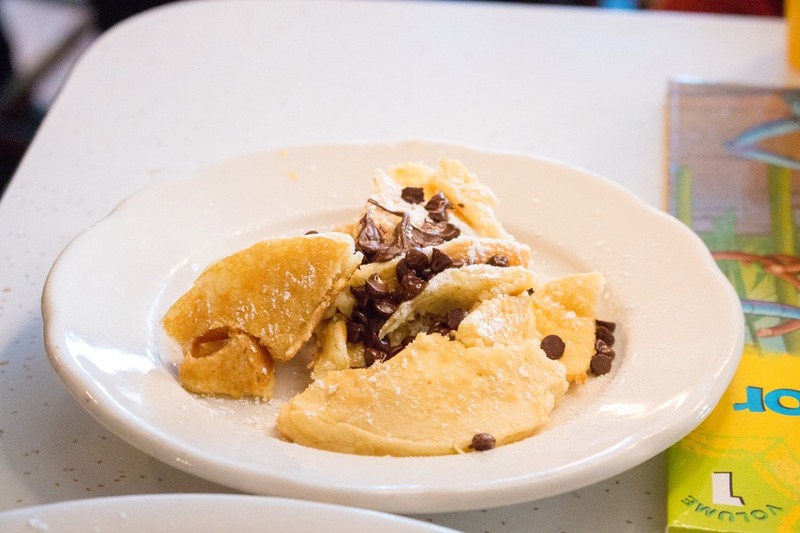 And the highest praise rating Pancake Pantry in the Top 10 pancakes in the US. I was ready, bring it on! Upon recommendation from our fellow queue-waiters, Josh decided on the sweet potato pancakes, while I was convinced with the word “Ligonberry” and ordered the Swedish pancakes. 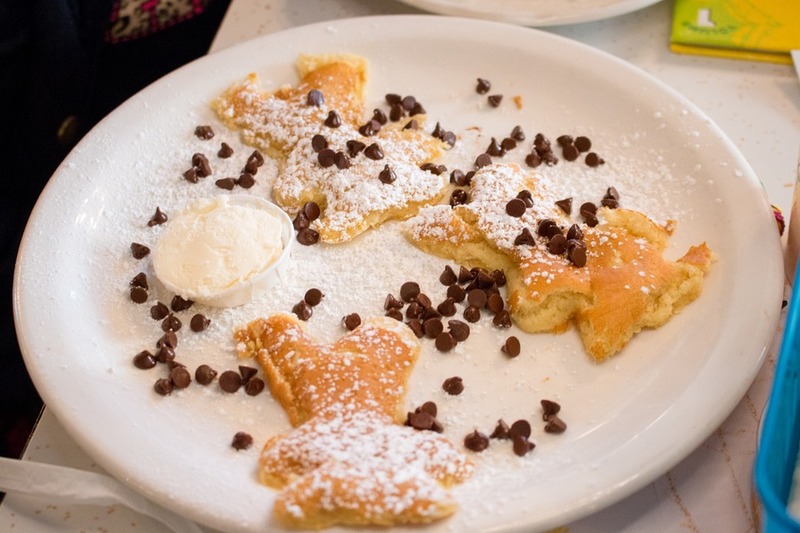 Our kids enjoyed cute dishes like Bears In Snow and Polka Dot pancakes. My pancakes were delicious and I thoroughly enjoyed them, but Josh declared his as the most delicious pancakes he had ever eaten. 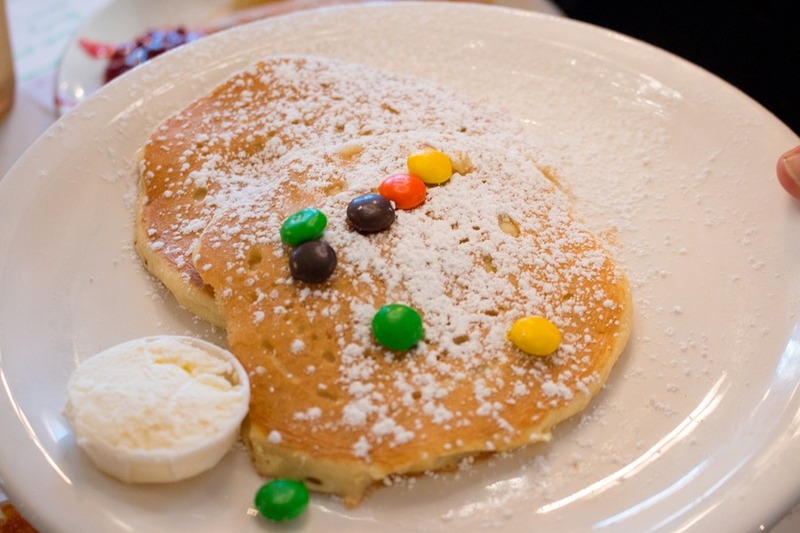 The portion sizes were reasonable, the kids were a little on the small side so it was handy that Mia’s bear-cut pancakes came with the trimmings (outside of the bear cut). 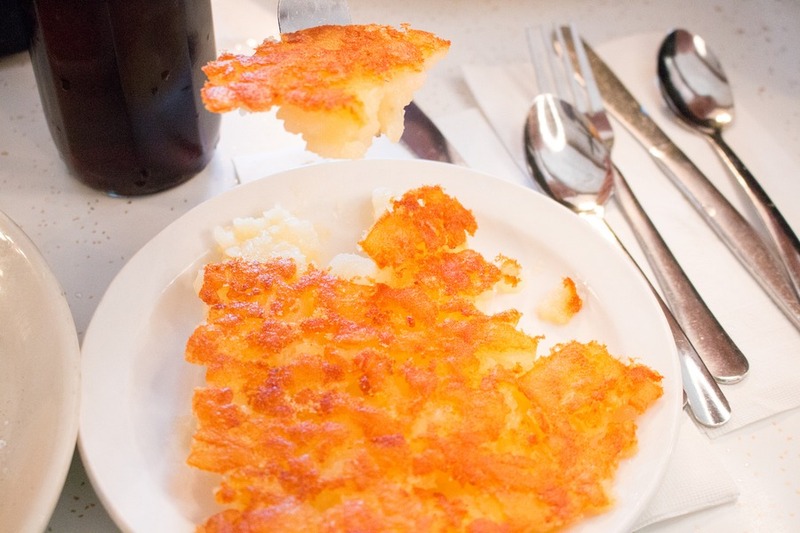 We also ordered a couple of servings of hash browns and those were amazing! Service was a little slow to start with, but food came out fast. You pay at the counter and the whole place runs smoothly and efficiently. I guess they have to because by the time we left the queue had only gotten longer. In our wholly altruistic endeavours to find the best BBQ, a local out at Fontanel Mansion directed us to try a little bit of local heaven. 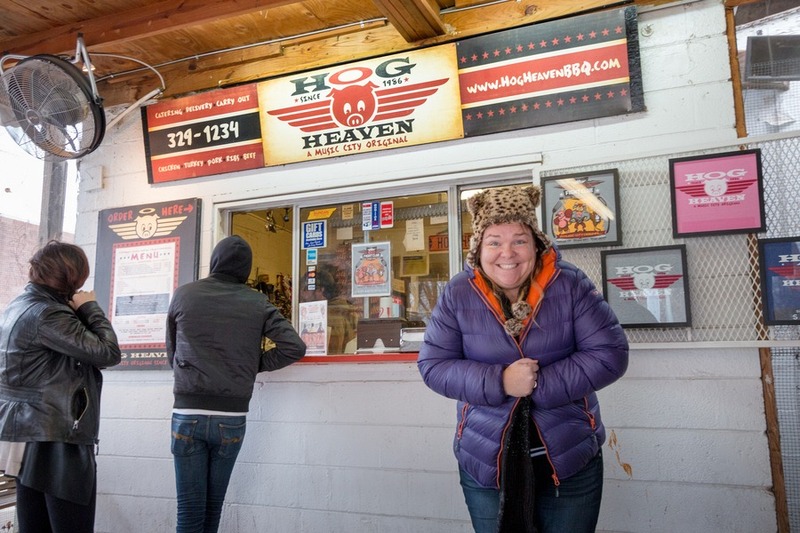 Hog heaven, that is. Opposite Centennial Park where the Parthenon sits, is this little shack with two outdoor park-style wooden tables. In the cold January air I considered our endeavours to be slightly insane, but good food sometimes requires sacrifice. If it hadn’t been so cold I would have enjoyed it better. But as it was, I guzzled down a rib platter to get back into the warmth of our car. The food was tasty, hearty and served in generous portions. This place was recommended by one of our Facebook followers and I’m so glad we got to enjoy its fun, lively atmosphere. We were greeted with a large dining hall that looked about as classic southern BBQ as you can get. You simply go up to the counter, order, wait and then take your food to your seat. 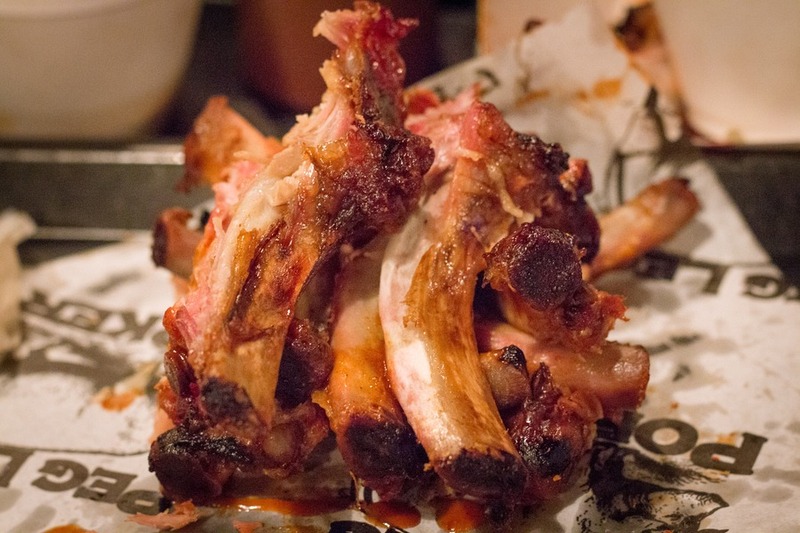 We tried a dry ribs and a wet ribs. Mia found them a tad spicy, but Josh and I fell in love (with the ribs, that is). Also the coleslaw was scrumptious. Pitmaster and owner, Carey Bringle, came by our table to say hi which was a real treat. 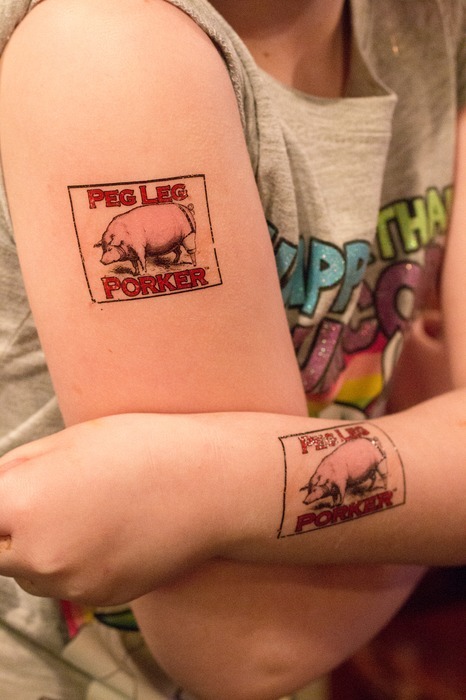 He’s an inspirational character and comes from a family marinated in Tennessee BBQ traditions. 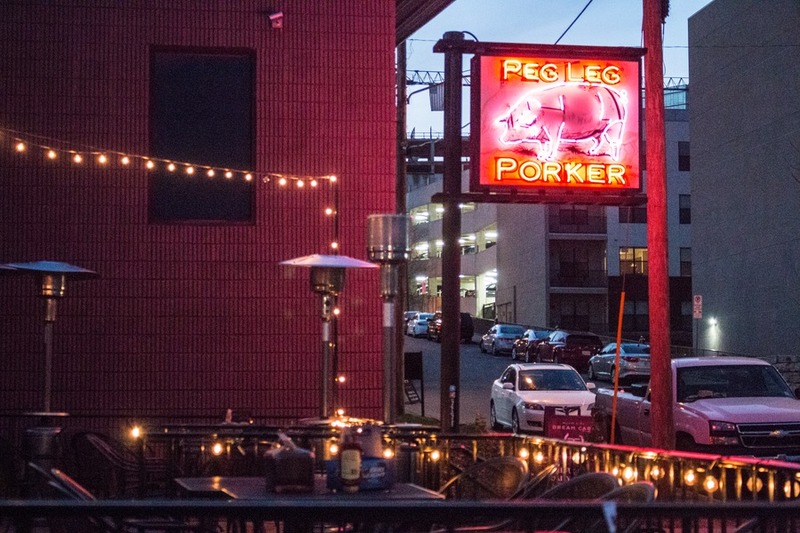 It’s no surprise Peg Leg Porker has been regularly rated as one of the best BBQ joints in the US. Funnily enough, our tour guide at the Fontanel also was our waiter at Party Fowl - a musician and former teacher who moved to Nashville for fame and fortune. And with a voice like his, we certainly expect to be hearing more from him in the future. We originally had plans to try Hattie B’s for lunch but upon driving past and seeing the super-long queue out the door, we opted for something which involved less waiting. 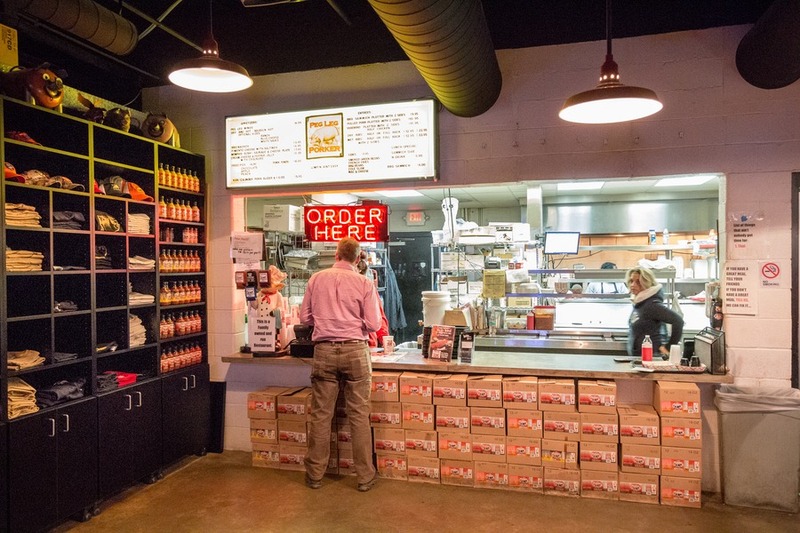 The next restaurant for real Nashville hot chicken on our list was Party Fowl. Josh’s chicken was served on a piece of bread with a side of coleslaw. The portion size was disappointingly small, especially considering the overwhelming size of my salad. However, the fried chicken flavour was impeccable. I’ll tell you what wasn’t disappointing… Josh ordered deep-fried Goo Goo bites for dessert. Drool! 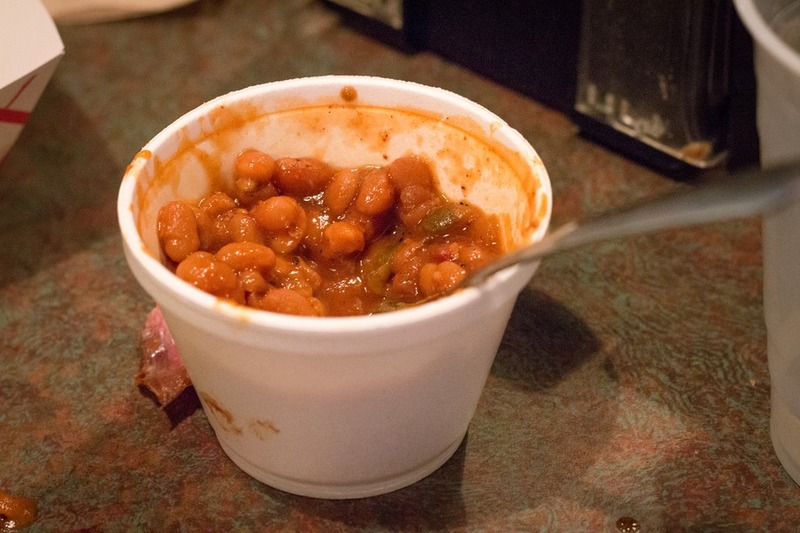 Southern food has been a key feature of this eatery since 1951 when The Loveless couple began serving it right out the front door of their home to travellers passing by on US Highway 100. It’s a simple, homey set-up with honest comfort food. And while our fried chicken was slightly on the dry side, the biscuits and preserves turned out to be the hero of our meal. Possibly the best biscuits I’ve ever had. “Biscuit” is a funny word, because in Australia a biscuit is a cookie. Here in the US a biscuit is more like a “scone”. Go figure. Pork BBQ on top of pancakes! 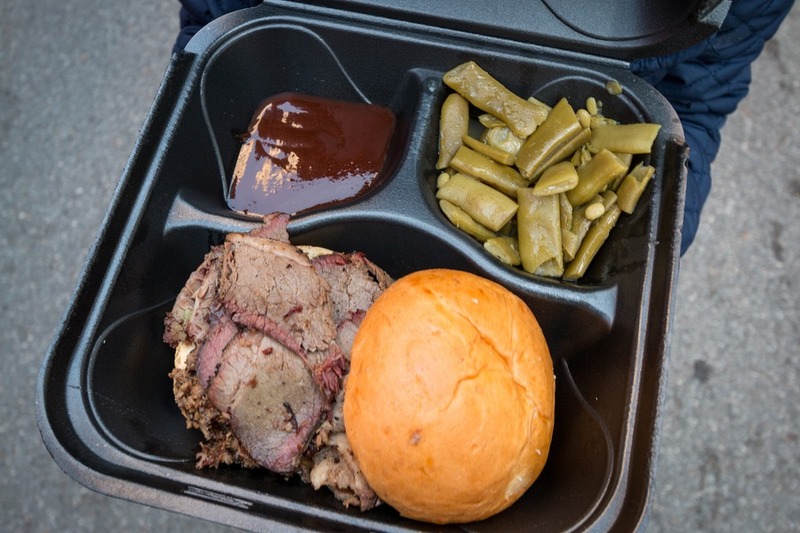 We were on the Music City Trolley Tour when we passed the food trucks and knew that’s where we wanted to have lunch. 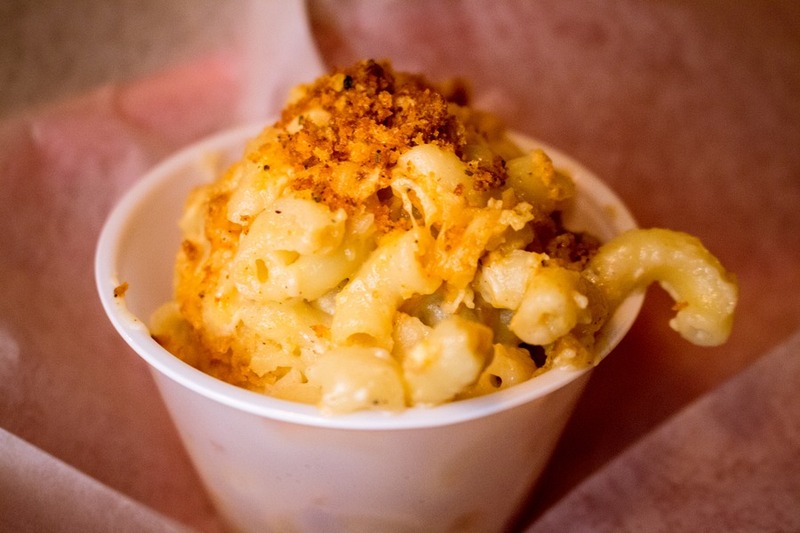 On Deaderick Street near the city centre is Nashville’s very own food truck craze. Here I discovered a diversity that caught me by surprise, considering the city’s strong BBQ reputation. By good fortune we picked a warmer day than most. Each member of our family got to choose what they wanted before we ventured to the nearby Public Square to eat lunch and soak up the weak winter sunshine. I’ve never had a better grilled cheese sandwich than I did at The Grilled Cheeserie. Caius devoured his Bare Naked Bagel and Moovers & Shakers milkshake. Mia’s woodfire pizza was super fresh from Crankees Pizza and Josh devoured a beef brisket sandwich from Lil Choo Choo BBQ. 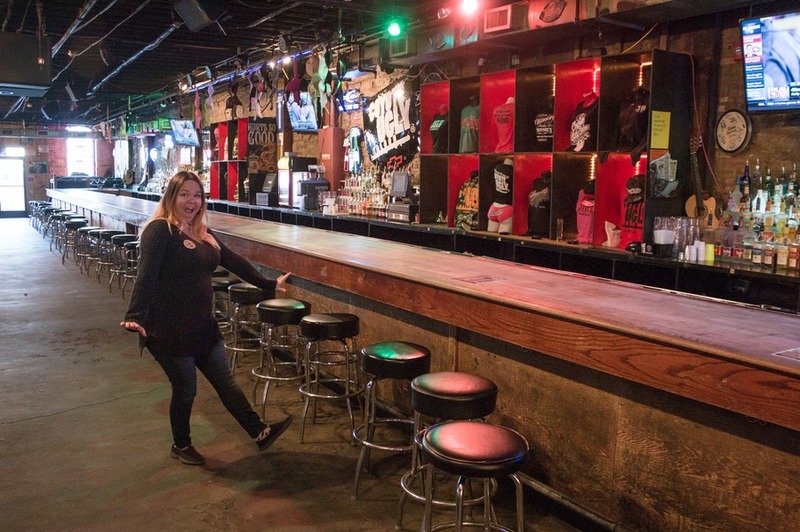 If you want to dance on the longest bar in Nashville then wiggle your hips down the stairs and into the basement saloon made famous by the namesake movie, or rather, better known. We managed a quick daytime visit, and while we didn’t eat anything, I managed to strut my stuff on the bar. I’m proud to say I left with my bra. 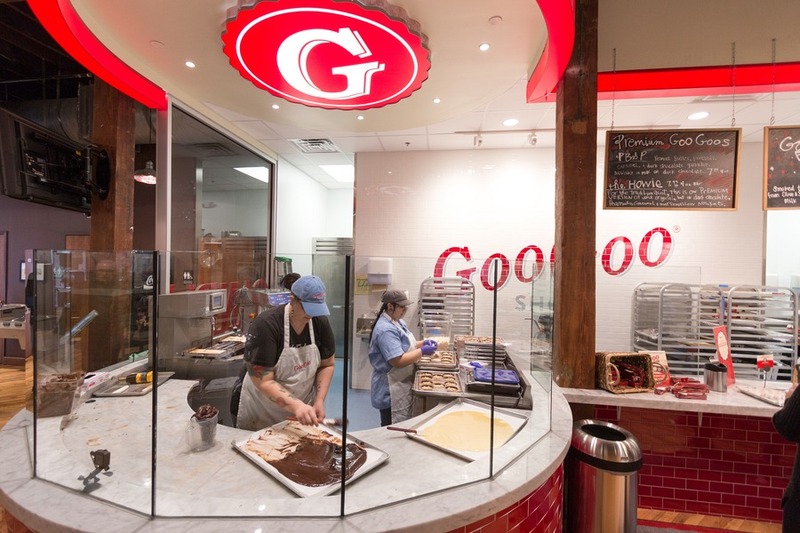 Goo Goo Cluster is a magical combination of chocolate, caramel, roasted peanuts and marshmallow nougat. 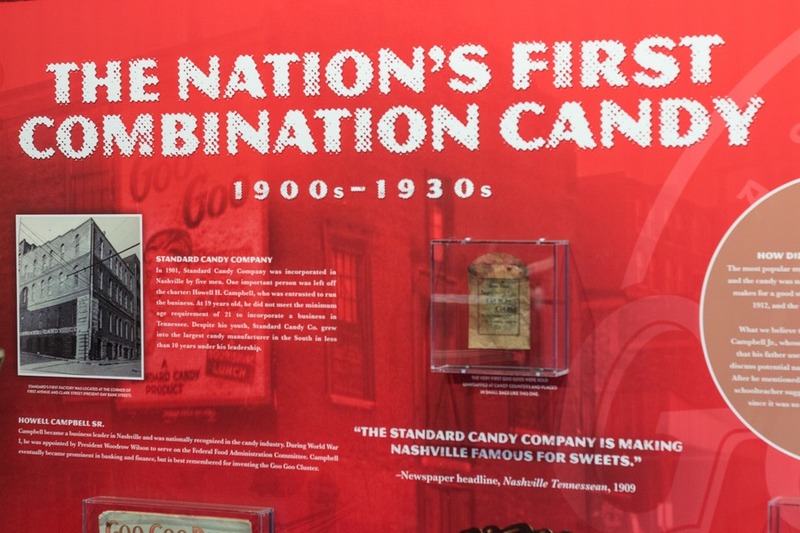 This instant classic, was invested here in Nashville in 1912 and was the first time anyone in the world had mass-produced a combination candy bar with more than one element. 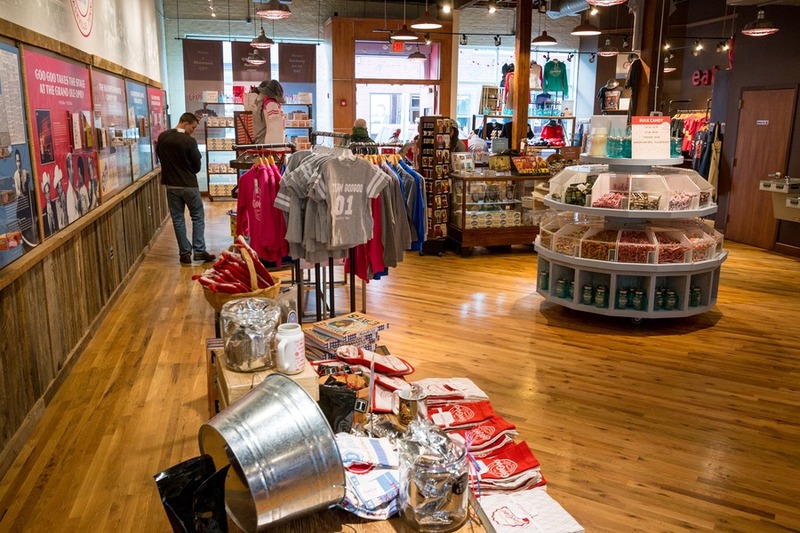 In this store you can see premium Goo Goo Clusters being hand-made, as well as find a menagerie of branded merchandise. 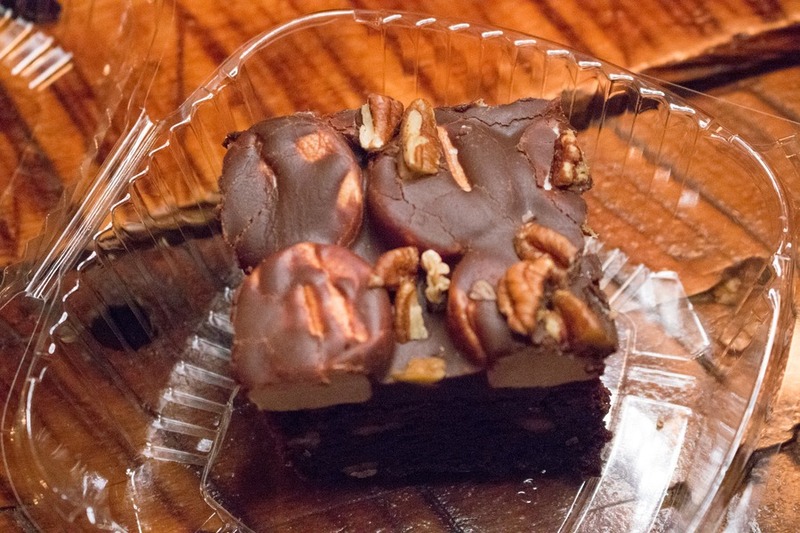 But even if you can’t make it to Nashville, you can still order these tasty southern treats online. 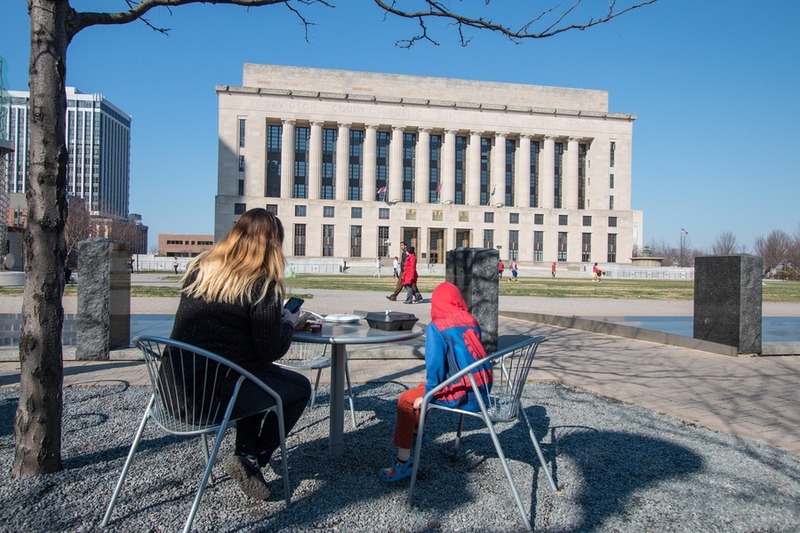 There are many, many reputable eateries to choose from in Nashville and we could have spent weeks munching our way through the city. But we only had 1 week up our sleeve. Perhaps that’s a good thing in hindsight otherwise we would have left the city at least 10 pounds heavier. So count your calories before you get here, but once in town do not hold back. 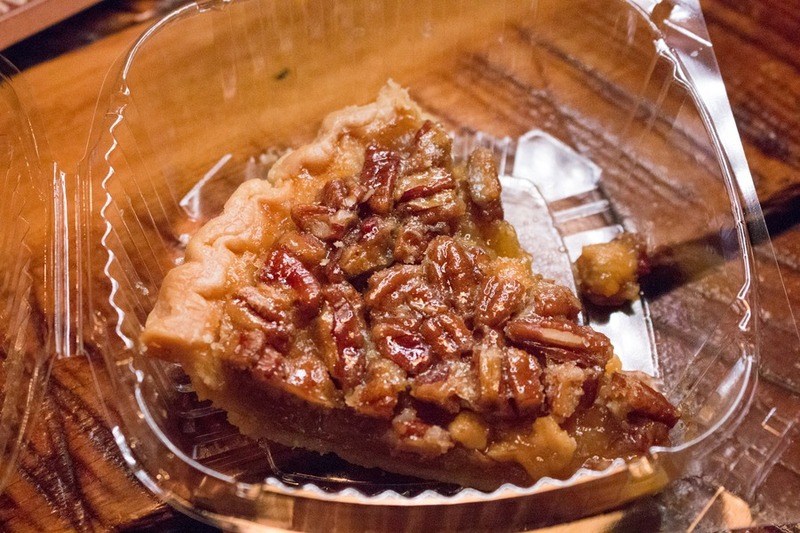 Open the flavour floodgates and enjoy every morsel that Nashville can dish out. 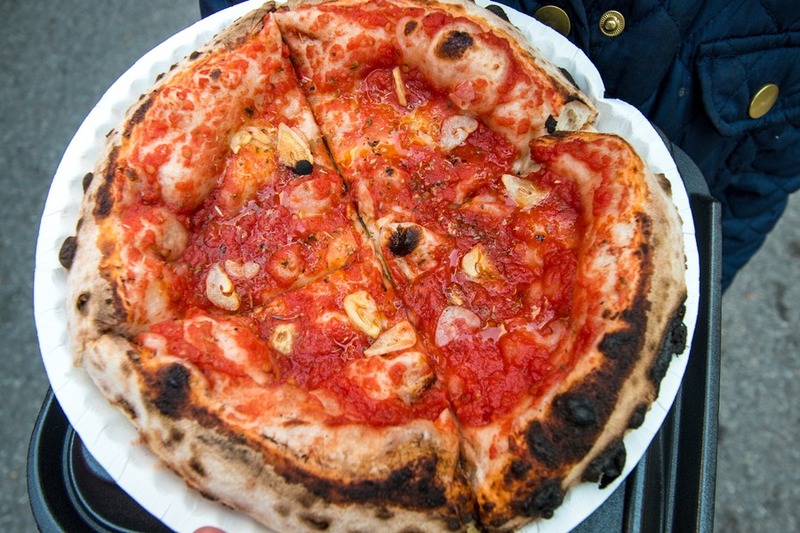 And your palette will be on the doorsteps of food nirvana as well. Yummy, I love food and love recipes which you post in your article. Thanks you so much for lovely and delicious article. That BBQ looks mighty tasty. Oh how I miss good BBQ! 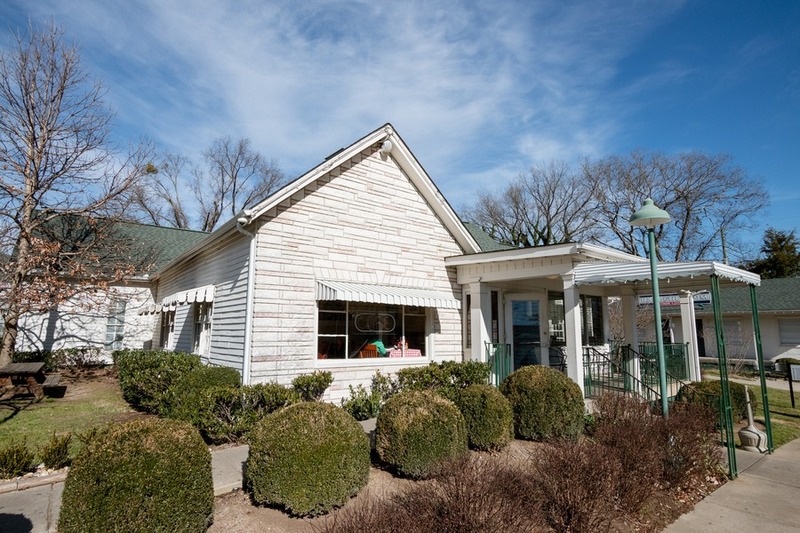 Native here--you also HAVE to try Hattie B's Hot Chicken (this is as "Nashville" as it gets) and Monell's at the Manor (family style dining, with southern cookin')!